For the first time, Lois Lane has almost everything she wants. Non-temporary home? Check. Dream job? Double check. Incredible BFFs? The absolute best. And now, her online crush, SmallvilleGuy, is coming to Metropolis. If all goes well, they'll turn their long-distance friendship into a some-kind-of-fairy-tale romance. But when does all ever go well? Before she can check "boyfriend" off her list, Lois must take down a mad scientist plus a trio of mutant teens, protect the elusive flying man from the feds (including her dad), and navigate her very first date with SmallvilleGuy. 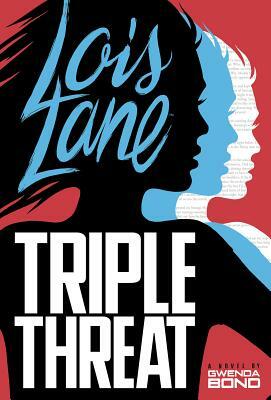 In the follow-up to FALLOUT and DOUBLE DOWN, Gwenda Bond's reimagination of DC Comics's first leading lady takes on her toughest challenge yet: Love.